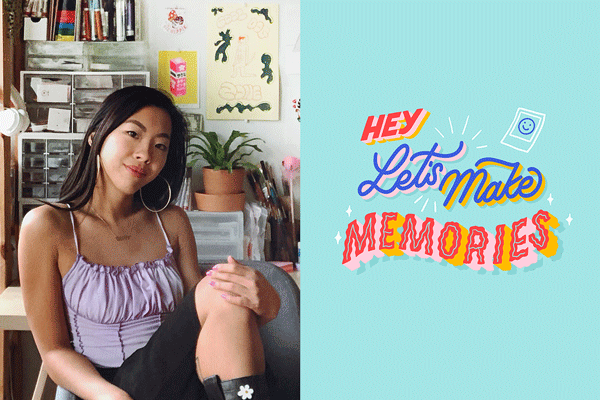 Steffi Lynn’s stickers are fun, lighthearted and stylized images of flowers, cactus and positive mottos. 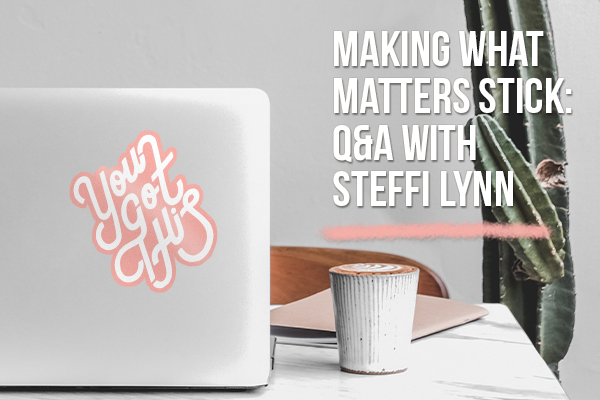 We caught up with Steffi Lynn to talk about the creative possibilities of neurosurgery, making murals and the importance of putting your art out for the world to see it. When did you first get started in art? I was always immersed in culture from a young age. My parents were very creative. I always knew I wanted to do something creative, but I was also curious about different fields. I just never knew what. I wanted to be a dancer but also had a dream of being a neurologist. I was always intrigued by working with my hands. I find lettering therapeutic and important for everyday life. The flow of words is interesting. I started art classes when I was about 4 or 5 years old. You wanted to be a neuroscientist? A neurosurgeon, actually. Wanting to be a neurosurgeon was more of a fantasy, as in, if I had the ability, and the drive and the work ethic, that it would be something interesting to be. I’ve always been very curious about how little strokes can change the whole entire image of something. The mind is cool. I wanted to poke around in there, in brains, and see how small changes affected things. But it will forever be a fantasy, I think. So you chose art instead? I chose art because I liked the process of turning nothing into something and creating it out of my hands. At first, I applied to the Pratt Institute in New York for photography. Then, I switched to graphic design. Then, I changed to illustration. I do art full-time freelance. I’m currently doing a lot of murals. One of my favorite things is doing art for music festivals. It’s really cool to see nothing turn into something. It’s magical. That’s a theme in my life, I think. I’ve done work for the Governor’s Ball, Austin City Limits and Meadows in NYC. Right now I’m working on a pop-up Instagram exhibit in Dallas. It opens in late April. It’s called the Museum of Memories, and in includes works that are childhood-inspired for all ages, cartoons, coloring books, things like that. 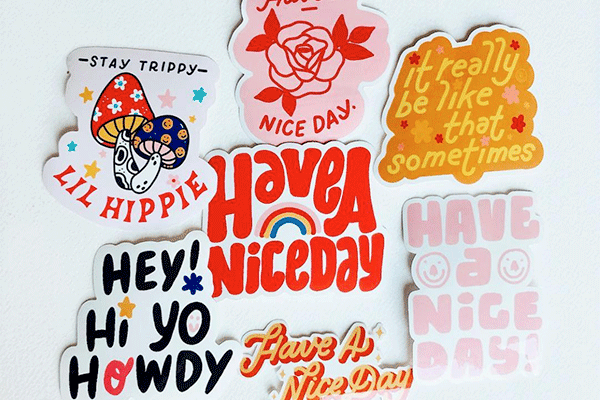 When did you first start making stickers? I started doing the Have a Nice Day stickers out of college. I wanted to make something, and my first thought was to make pins. The second was to make stickers. 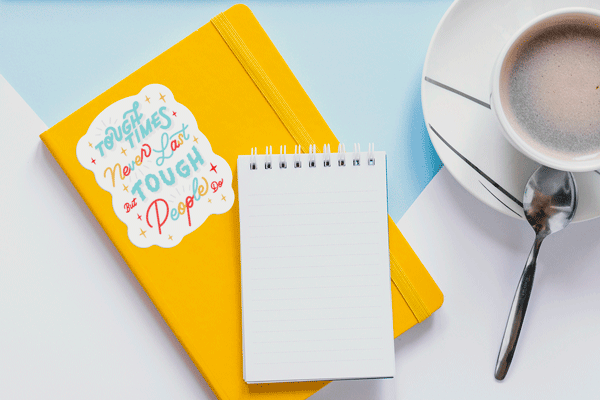 Stickers are little, fun items that people can put anywhere. They’re a nice pick-me-up. 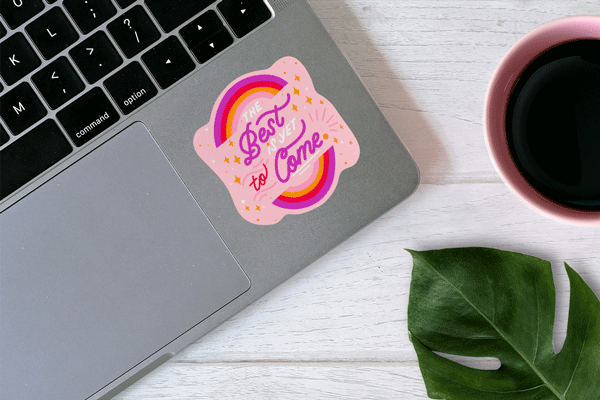 What was your first sticker? I started with holographic images, line work. Things like Have a Nice Day, cactus, things like that. Do you have any advice for those considering making art? Go for it. A lot of people are scared to start because they think that they won't succeed, sell their work, or get exposure. At the end of the day, no one will have the option to see it unless you offer and make it available. If you feel insecure, just remember people love stickers. You can even use them as business cards. Actually, that’s an idea I might look into! You don’t know what you’re capable of until you try, and when you try, you’ll learn a lot of things about yourself.